Customers with flight arriving outside our normal business hours can still rent a car with additional charge. You can select option for car rental after hours on the search result page. 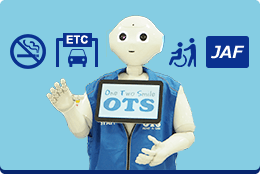 ※ Customers who wish to walk-in or rent at offices other than those mentioned above may not use the off-hour service. 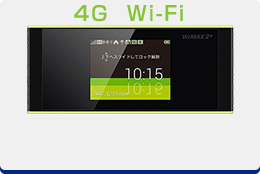 ※ Off-hour charge will also apply to passengers of flight MM990 arriving before our normal opening hour (8:00 AM). Please note that off-hour charge may not reflect on the total price. Customers with early flight may return the car before our normal opening hour with additional charge. You can select option for car return before opening hour on the search result page. ※Passengers with no early flight and who wish to return to offices other than those mentioned above may not use this service. ※ Information regarding return time and location will be informed to you when you arrive in our office. 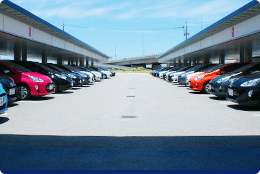 ※ Please note that for customers departing with an early domestic flight, you will be asked to return the car to our member-only office (Akamine corporate office). 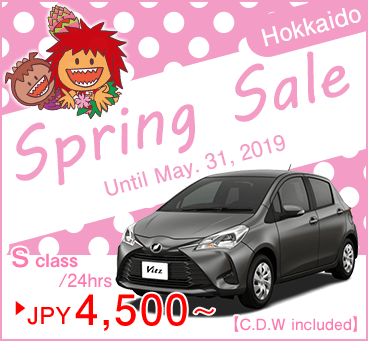 When making an online booking, please select your return location to "Toyosaki main office" and it will be amended later on. To our foreign visitors, At OTS Rent-a-car, our friendly staff are looking forward to serving you. 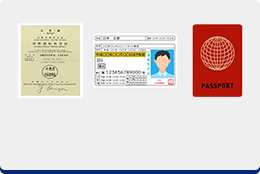 English speaking staff are also available to assist you from making a reservation, registration and when you encounter difficulties. Rent our popular and latest car models at best prices! For limited time offer & limited stock promotions in Hokkaido, check here. Advance booking deals and latest hybrid car sale ongoing! 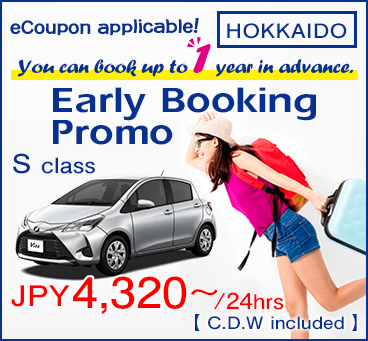 Book a car as early as 1 year in advance! The sooner you make a reservation, the sooner you can grab a better discount! From convenient compact car models to luxury car models, a wide range of options is available for your selection! Rent a car in Hokkaido. Online booking available as late as 1 hour before actual car rental time. 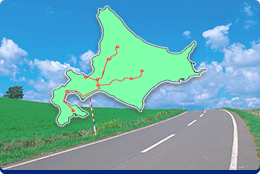 Our offices in Hokkaido are conveniently located and easily accessible from airport and transport terminals. We provide free airport pick-up services, and offer car pick up at various locations. Car return at a different branch can be arranged! 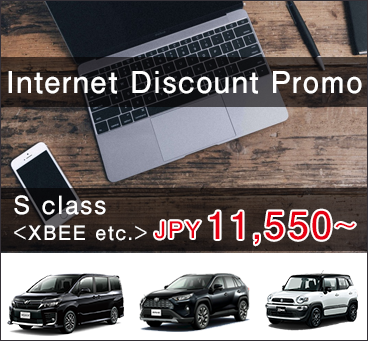 Drop-off to Chitose airport office and Hakodate office can be arranged. 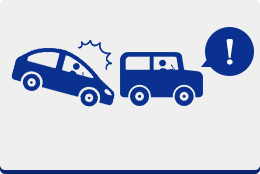 ※On rare occasions, we may refuse above arrangement if cars dropping off at different locations exceeded the maximum limit. Ample space for children to enjoy the ride. Suitable for family who wish to carry souvenirs and large travel luggage. Enjoy a smooth drive with compact vehicle. Make your tour unforgettable with your special someone in your own pace. Reduce driver tiredness on a road trip. Enjoy a sightseeing tour with these models that is also suitable for business trips. Choose from a wide range of limited edition premium models. For rental rates of all car models, click here. Premium Plan Full compensation service no matter where! 1-3-2, Kashiwadaiminami, Chitose-shi, Hokkaido, Japan, 066-0009 TEL0123-27-7000 FAX0123-26-7777 Click here to send us e-mail.